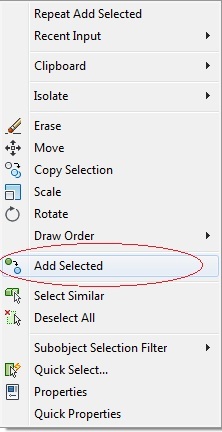 If you have used Revit or AutoCAD Architecture, you may know of the “Add Selected” command. Well, in AutoCAD 2011 we get this awesome command. What’s so special about it? Especially for the lazy drafter or if you’ve ever received a drawing from someone and maybe they have changed an object to something like the linetype, lineweight or color to something other than “bylayer,” this command will let you pick create that same type of object with all of its properties. It doesn’t matter what your current settings are or what layer you are on. This entry was posted in BASICS, Modifying, New in 2011, TIPS. Bookmark the permalink.